The local safety training agency is breaking language barriers by offering training courses in Punjabi for the Sikh Community of British Columbia. British Columbia, Canada, April 02, 2019 --(PR.com)-- Metro Safety Training now offers safety training courses in Vancouver, Burnaby and Coquitlam for the Sikh community of British Columbia. British Columbia is home to many immigrants and a heterogeneous population, with over 26% of residents speaking a language other than English and French; the two official languages of the state. Of the different languages that are spoken there, Punjabi is the second most common immigrant language after Mandarin, and is spoken by over 11% of the recent immigrant population of BC. This implies that a large number of people that make up the working population of the province are non-native speakers and struggle with English and French. However, they’re as susceptible to work-related injuries and disasters as anyone else. If anything, they’re even more vulnerable because they have difficulty communicating their grievances in the official languages of the land. Metro Safety Canada is a BBB accredited business that has partnered with Canadian Red Cross and is certified the BC Construction Safety Alliance to provide work and occupational first aid courses to the people of British Columbia. Their services include courses in, First Aid Training (Level 1 to 3), Fall protection training, Forklift Operator training and many more. 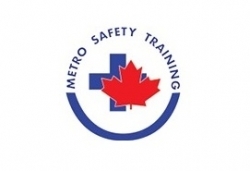 Established in 2008, Metro Safety Canada is a leading workplace safety and first aid training agency that operates in Coquitlam, Burnaby, Vancouver, Richmond and Surrey, British Columbia. With over a decade of experience in safety training, the Agency prides itself in professionalism as well as maintaining an empathic relationship with the community.